Moschino should just go ahead and announce their marriage to Apple products and be done with it. 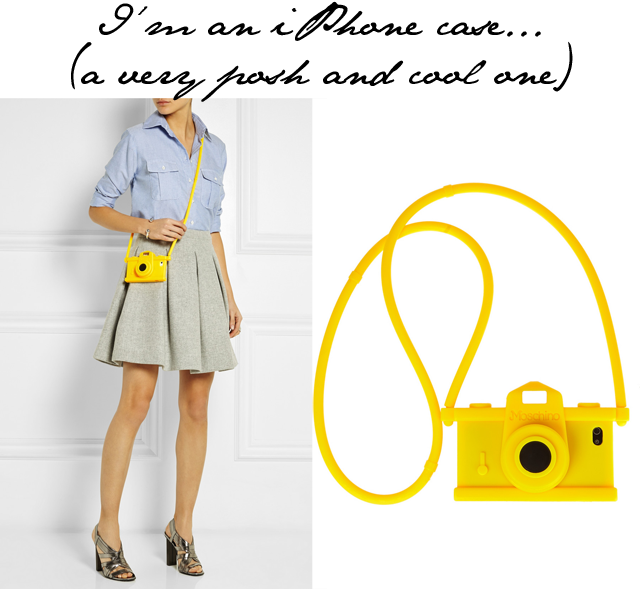 I swear their iPhone cases are what watches are to Michael Kors - the biggest sellers! Everywhere I look there seems to be a Moschino iPhone case starring back at me. This isn't, to my great surprise, at all annoying or tedious. In fact, it's quite the contrary. I find Moschino are helping to bring high fashion to the masses through a device we all seem to pay more attention to than our significant others these days.